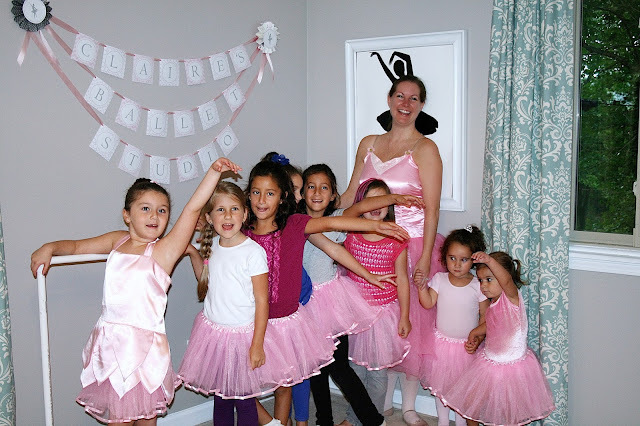 " The Modest Homestead: Ballerina Birthday Party and a Giveaway! 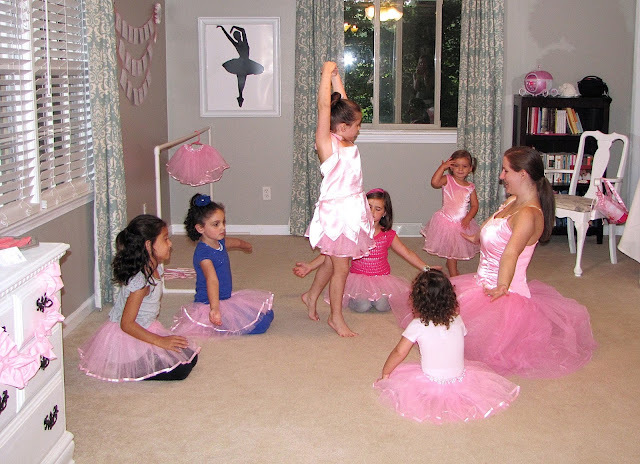 Ballerina Birthday Party and a Giveaway! 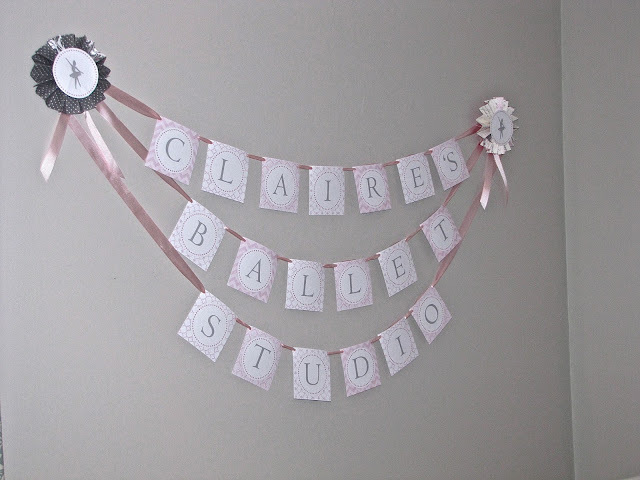 I'm so excited today to share with you Claire's ballerina birthday party! Lonni from L. Olson Designs worked with me to create the most adorable printables for her party. 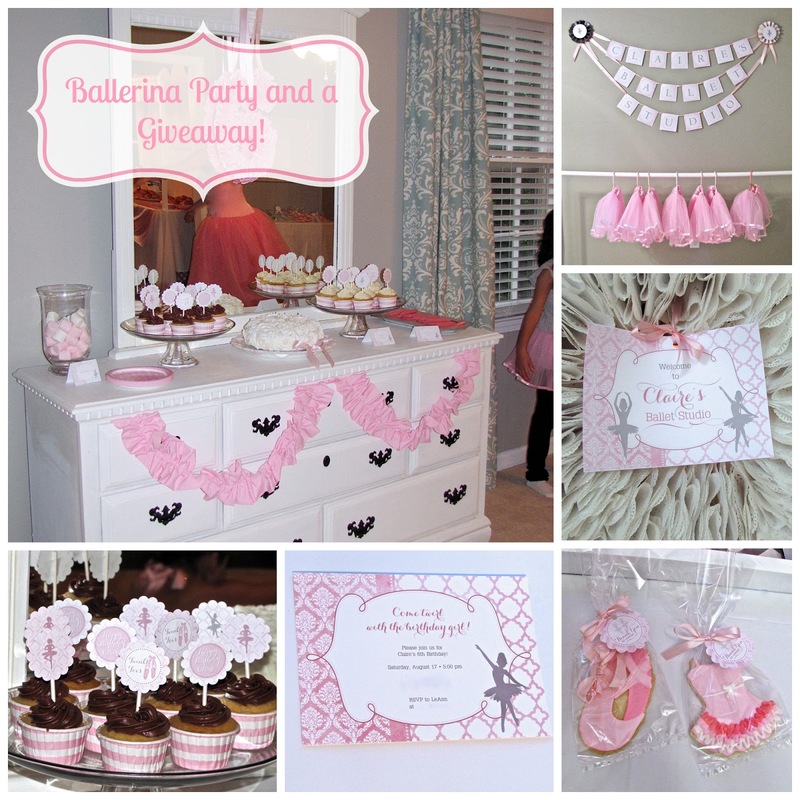 She also designed the printables for my sister's Elephant's on Parade baby shower a few months back so I knew she would do a great job! The invitation is now available for purchase and can be found here in her shop. She also designed this adorable welcome sign for the front door. 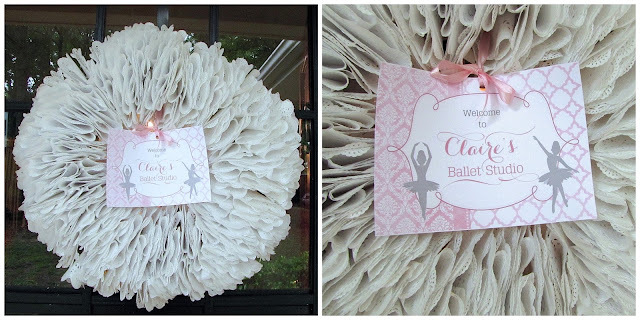 I loved how it looked added to this DIY doily wreath! 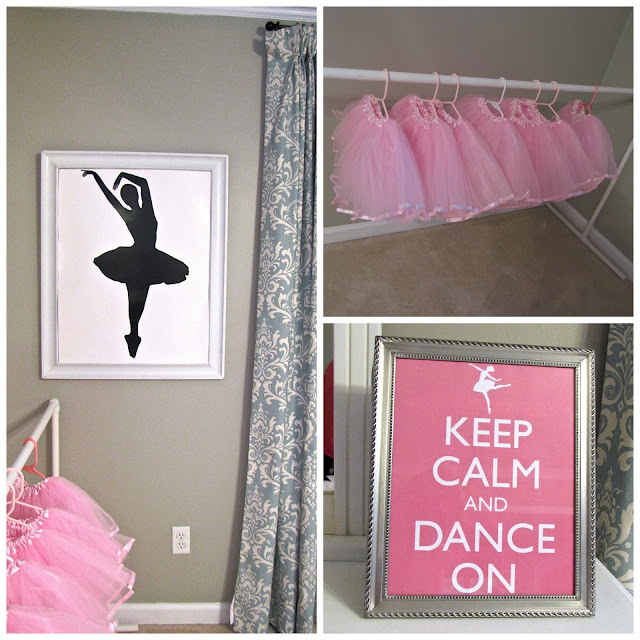 I cleared out the dining room and turned it into a mini ballet studio. This banner she designed was the perfect added touch. 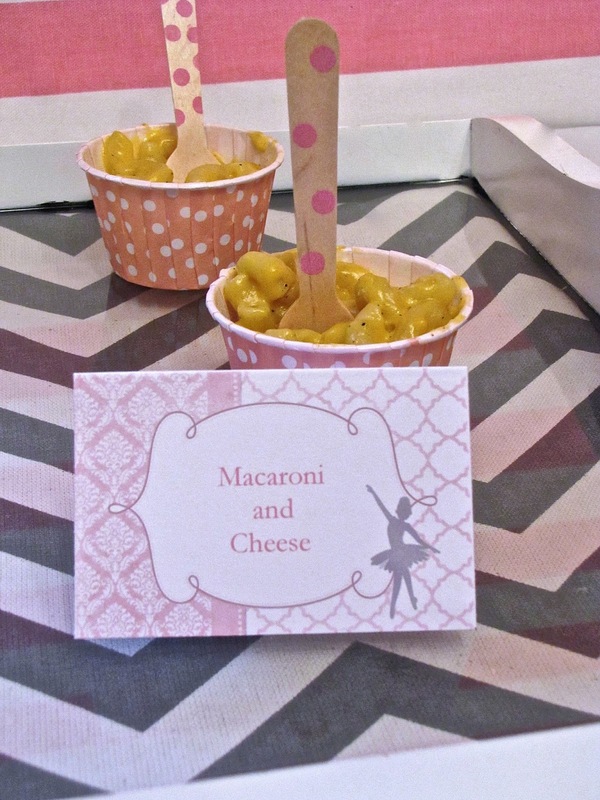 I used the matching tent cards she designed to label the food. They can be found here. 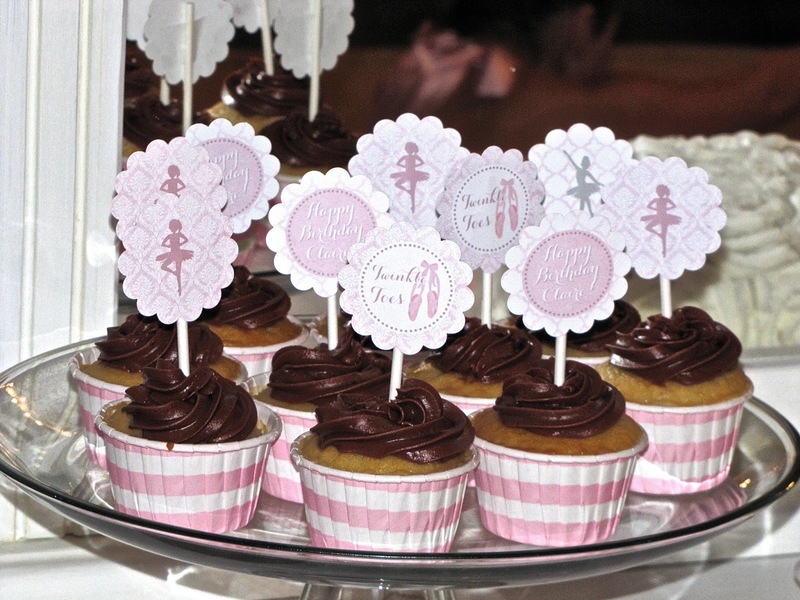 I love the adorable cupcake toppers she designed. 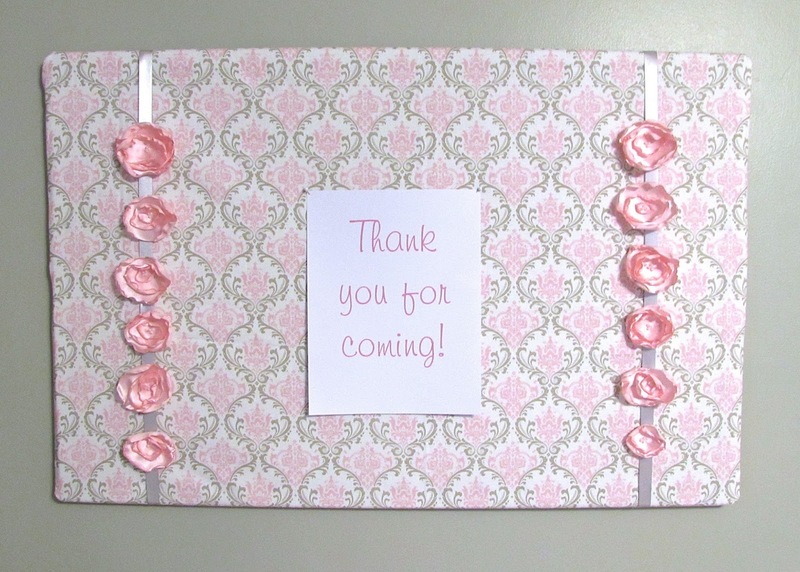 She was able to make them the exact size I needed to fit my 2" scallop circle punch. 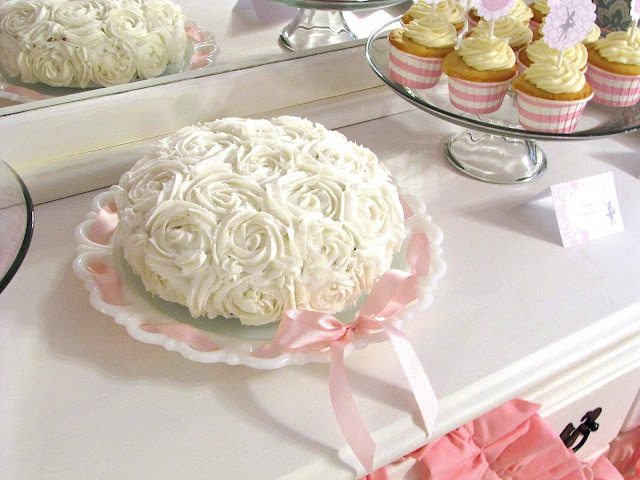 I iced Claire's cake using a 1M piping tip. You can view a tutorial for this here. Tiffany from Dance United came to teach the girls a little ballet lesson. 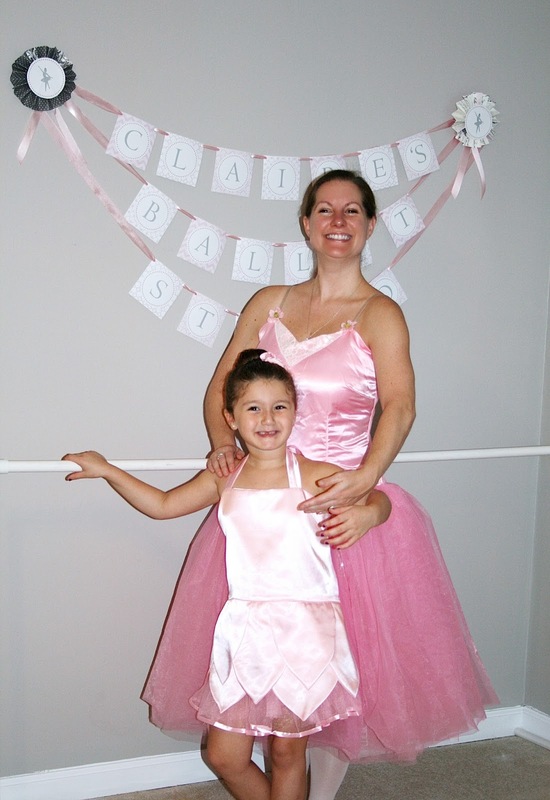 Claire was so excited when she came to the door dressed as a ballerina! 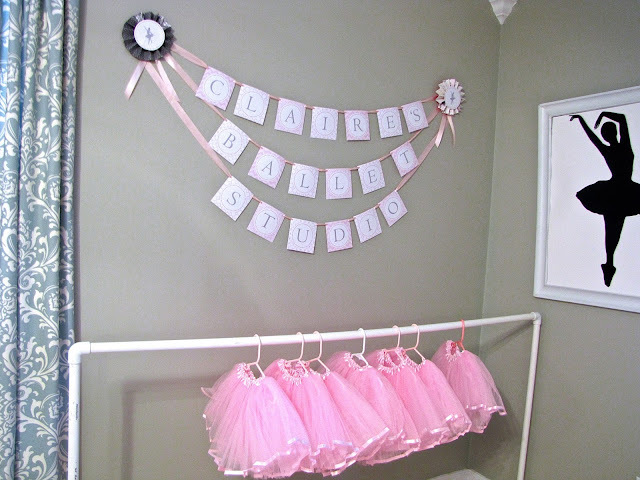 I used the leftover satin from Claire's ballerina dress to make these satin flower hair clips for the little girls to take home. You can view the tutorial for these here. Nora from the Cookie Kiln made the most darling sugar cookies! 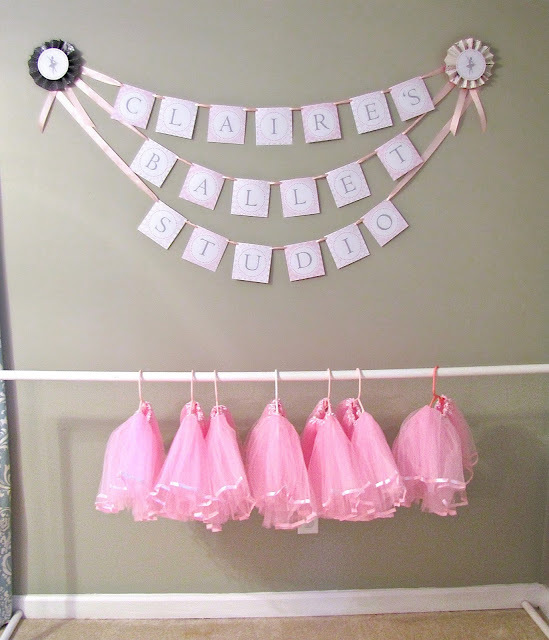 All of the little tutus had been eaten by the time I got a chance to take this picture but aren't these adorable?! 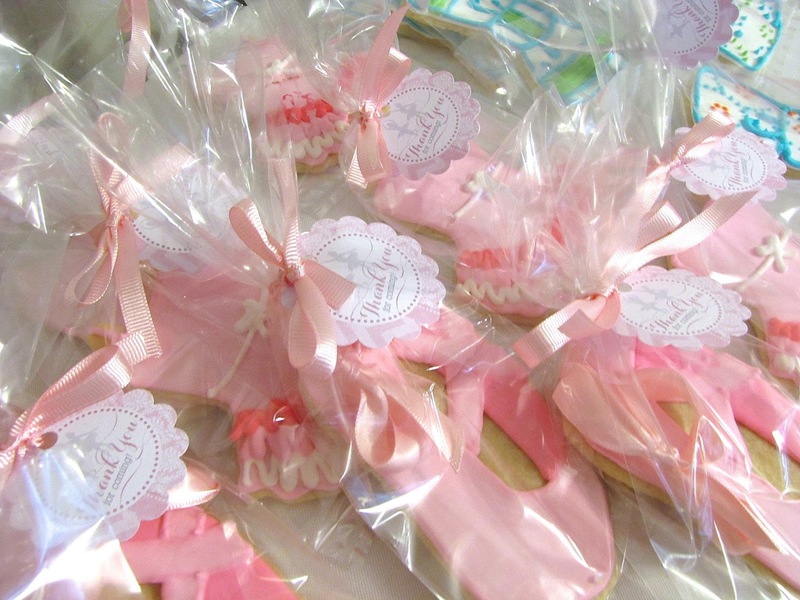 Here they are all wrapped up as party favors. 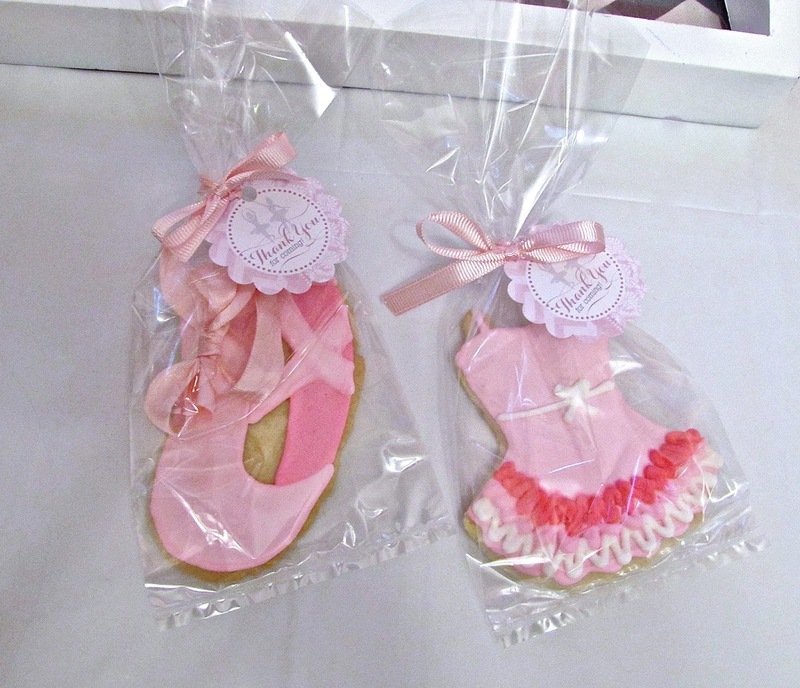 I tied the coordinating favor tags Lonni designed onto each bag with ribbon. You can purchase the favor tags here. 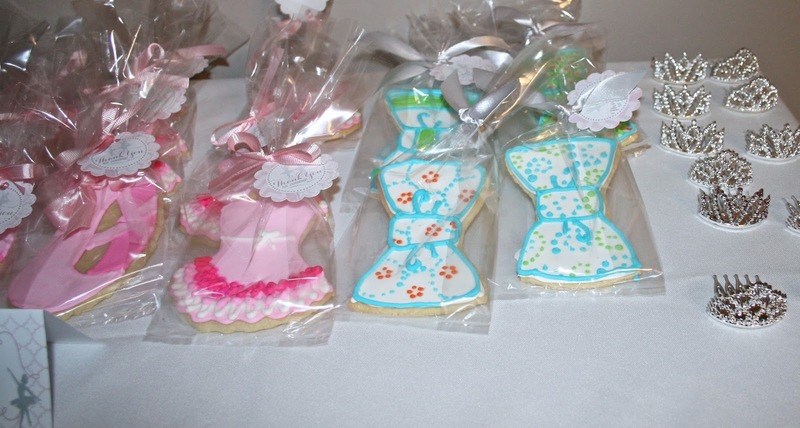 Since some of Claire's cousins that attended the party were little boys I had a few bow tie cookies available for them. Claire had such a great time at her party dancing around like a ballerina! 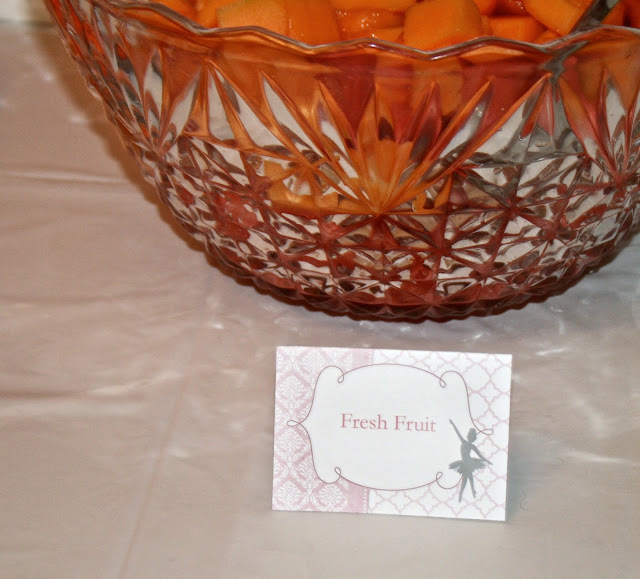 And now for the best part...a giveaway! 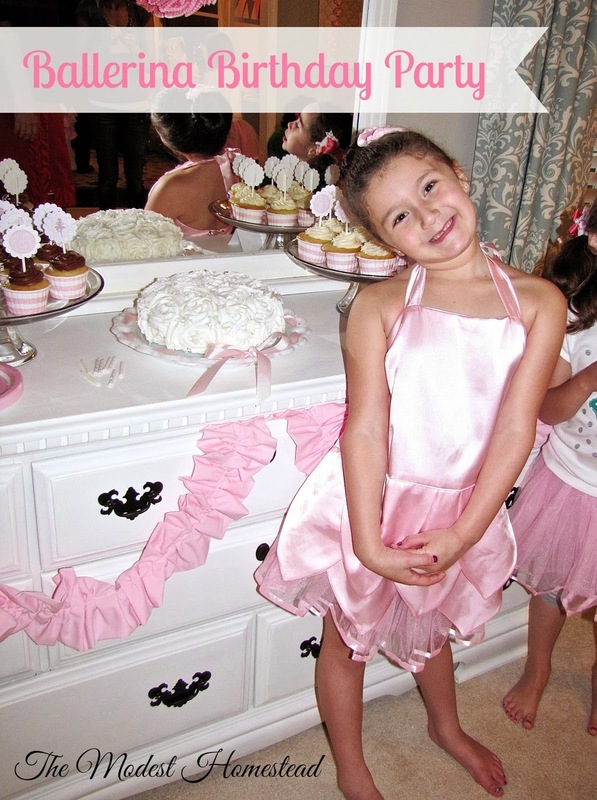 One lucky reader will win a $25 gift certificate to L. Olson Designs shop. 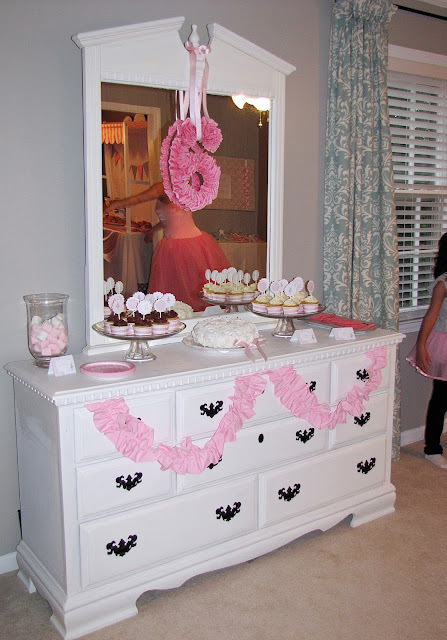 She has a variety of party items, invitations, birth announcements, Christmas cards, and nursery and wall art. You can even have her create a custom design for you! Enter using the Rafflecopter form below. Don't forget to share on Facebook for extra points. The giveaway will run until August 31st and the winner will be announced here on The Modest Homestead. I would get some thank you cards; I like the stacked elephant design. 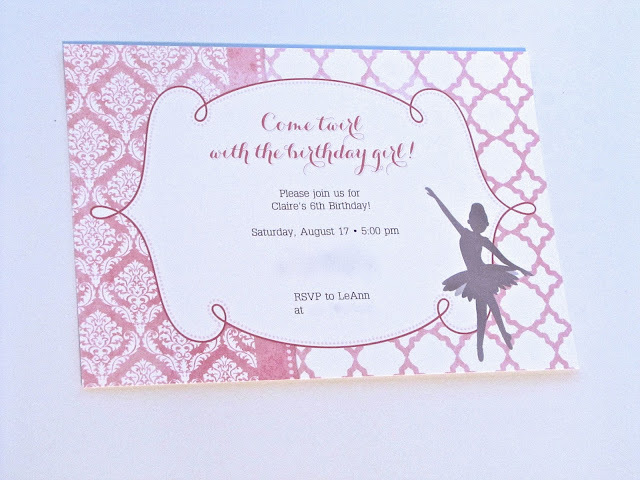 My oldest daughter has a birthday coming up soon and I'd love to get some special invitations for it. Thanks. I like the stacked elephants baby shower invite in navy. Wish it was an announcement. I would love to win this for my granddaughter & would let her pick it out! My son's first birthday party! 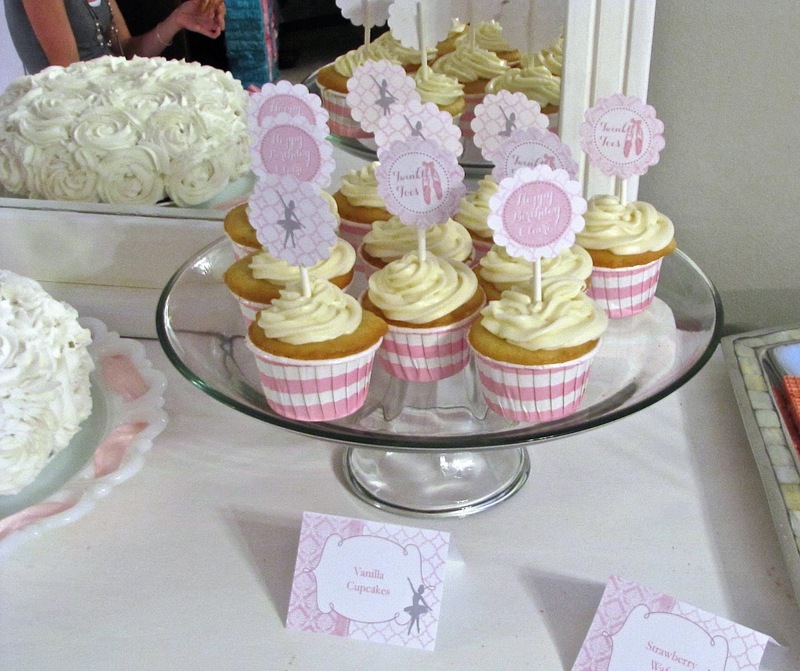 I would use them for my son's 3rd birthday party! He wants a Toy Story themed party! My daughters 1st birthday party coming up next month! 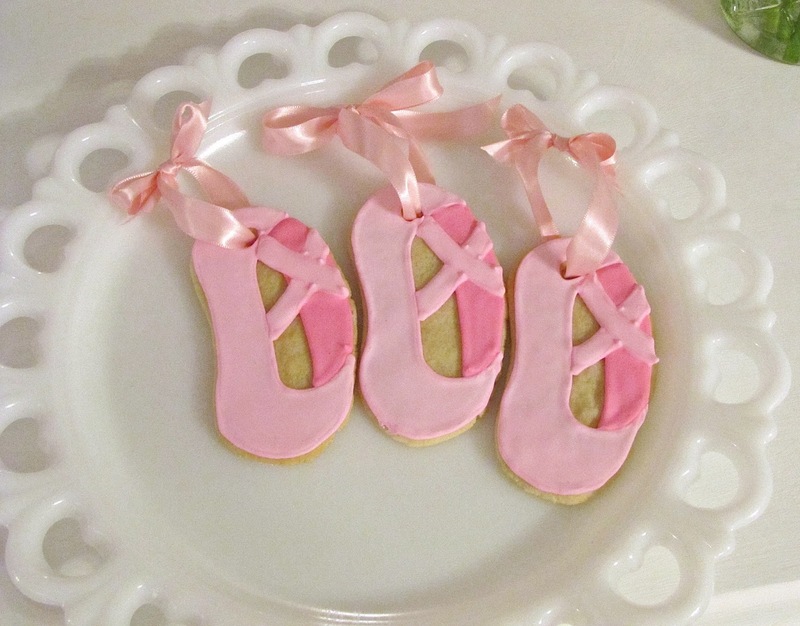 I would give it to my sister since she just had a little girl. I would give this to a friend who is planning an up coming party! I like the style of the M Is for Mason printable. I like the Argyle Plaid Paper Pack in Tealto make Hanukkah decorations. This is pretty incredible! Hope to be as creative for my little girl someday! 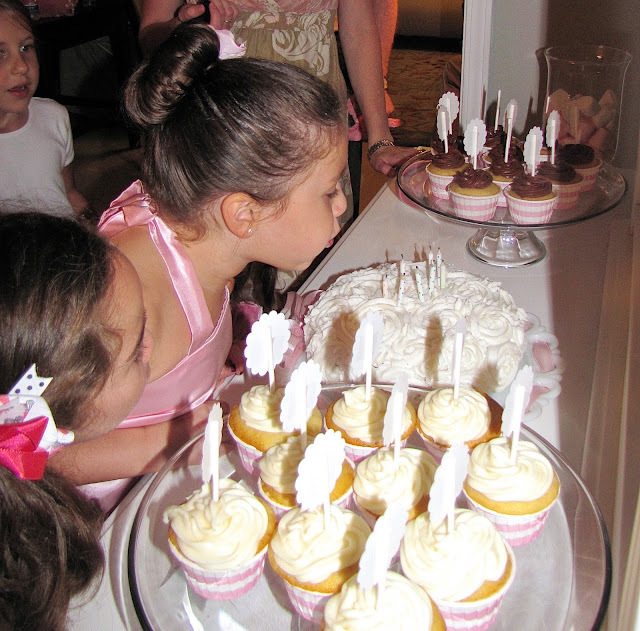 I have 2 Grandkids w/B-Days coming up, so probably something Fabulous for one of them! Thanks for the chance, great site!!!! I would use this for my daughters. I would find them something cute.